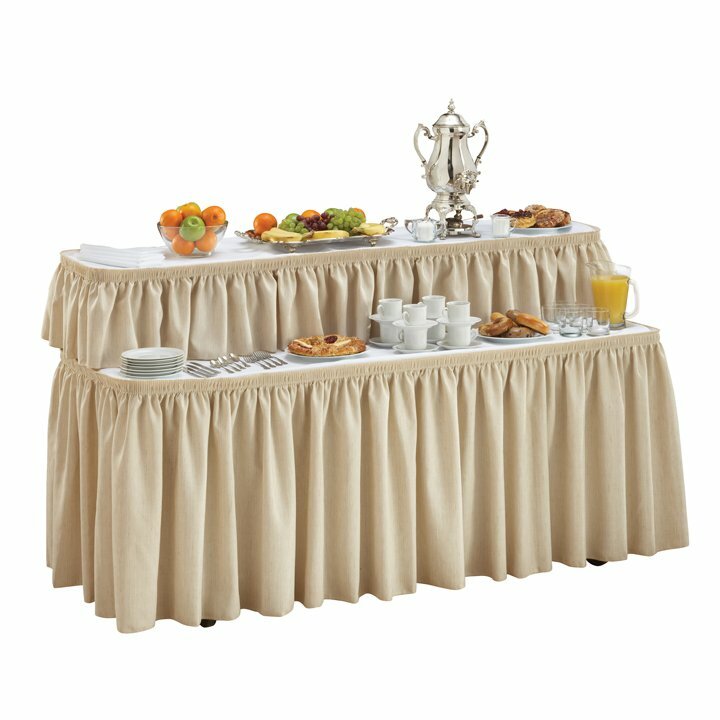 A SICO® catering table allows a beautifully presented service to be completely set up in the kitchen, then rolled into use by just one person. 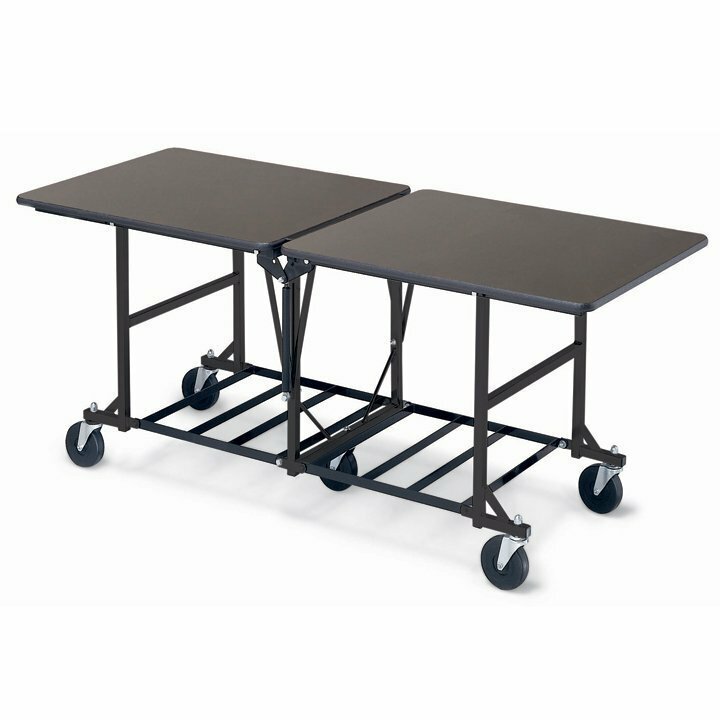 Our catering and buffet tables roll easily and quietly over thresholds and down carpeted hallways on 5" (12.7cm) resort casters. By eliminating the need for two setup workers to handle and present the food, your labor costs and set-up times can be significantly reduced. 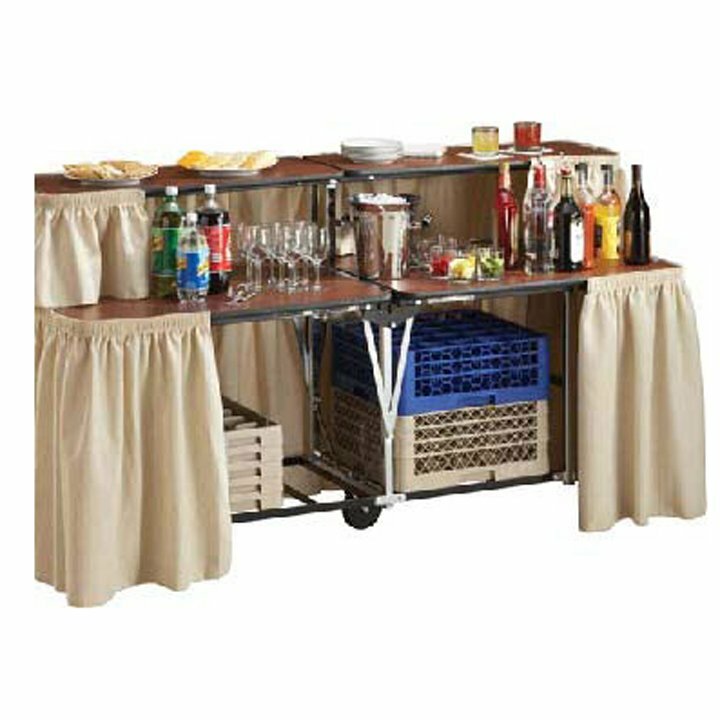 Whether you use them for portable bars, registration desks, or buffet set-ups, take advantage of their underneath storage racks for holding extra glasses, cups, food warmers, ice buckets, or other supplies. Because our catering and buffet tables move so smoothly and so quietly, you can easily roll in a coffee service or lunch without creating a distraction — and never worry about disturbing an in-progress meeting again. 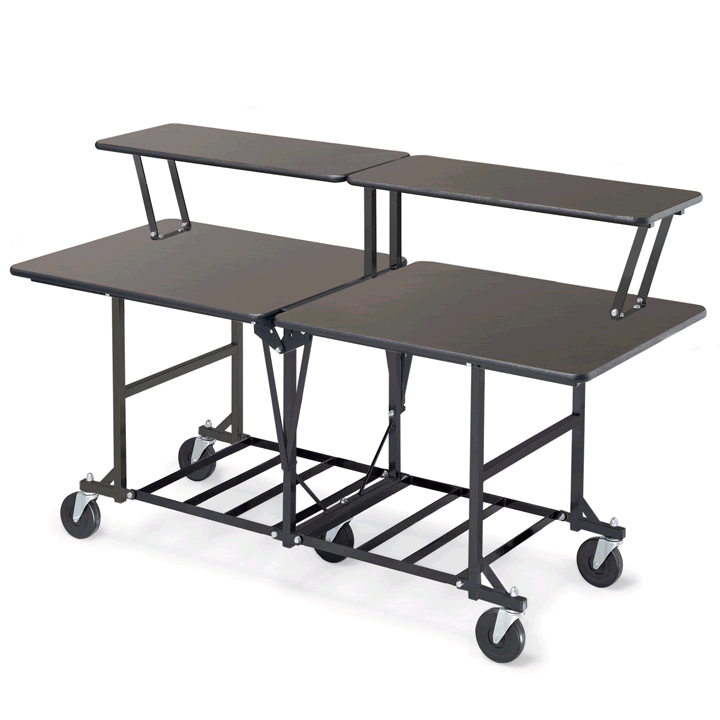 Choose from single- or double-tier models in 50" and 72" lengths and mobile Catering and Buffet designs, with durable black storage racks that stand 30" high. In addition, 8' long catering and buffet tables are available upon request.